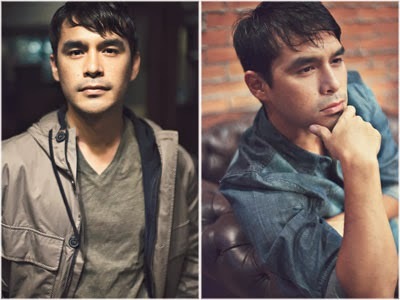 ABS-CBN reporter and Umagang Kay Ganda co-host Atom Araullo was the subject of a lengthy profile in the Saturday edition of The Philippine Star. The profile titled "Atom Araullo: TV's unexpected leading man" highlights Araullo's recent newsmaking coverage of super typhoon Yolanda. During Haiyan, you covered events on the ground as the destruction was occurring. What was going through your mind at the time? Was there a point where you thought of abandoning the newscast due to the life-threatening circumstances? Call it tunnel vision, call it an adrenaline rush, but you only come to grips with what you’ve gone through after the fact. We had little time to ruminate over the events that were unfolding before our very eyes. We had to act, we had to keep on going, we had to survive. In any case, what we went through is nothing compared to the grief and suffering of so many people around us. While witnessing that kind of destruction was mind-numbing, it also spurred us into action. We were not able to broadcast from Tacloban for more than a day because of damage to our equipment, and that was the most agonizing thing of all. There is a code of ethics that applies to journalists, where you keep your distance from a story and observe as it unfolds without trying to affect the outcome. During a disaster such as Haiyan, where did you find yourself drawing the line between being a journalist and being an ordinary citizen with some ability to help those in need? There is no way you can separate the journalist from the human being, as any reporter will tell you . It is not only impossible, it is inhuman. When people are hungry, thirsty, desperate, despairing, looking to you for help, how can you stand behind an imagined force field of ethics and neutrality? At the same time, however, you have to be reminded that the best way you can assist them is by doing your job as a journalist. It is our responsibility to tell their stories, to share what we see and perhaps as importantly what we don’t see. In this way, we hope to move people into action. Araullo was also asked about the buzz he created during with his Yolanda coverage, and how he will respond to netizens calling him a hero. "I'm not a hero. I was just one of the guys covering the storm," Araullo said. "A hero is a person who has little to offer but gives so much without hope for remuneration or recognition. Hotel staff who kept working despite being typhoon victims themselves are heroes. Doctors manning bombed-out hospitals in Tacloban are heroes. Ordinary folk working extended hours to revive the hard-hit areas of the Visayas are heroes."